Ammonite fossil. 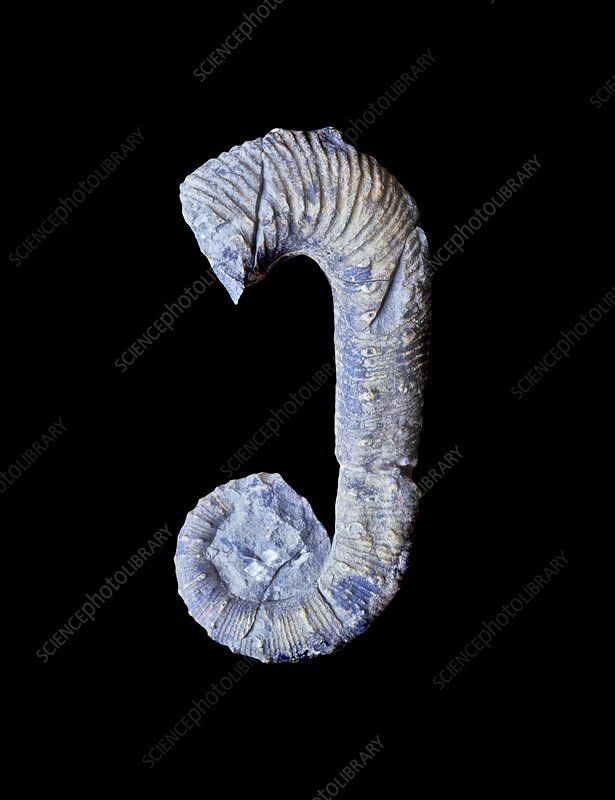 Fossilised remains of an Ancyloceras duvali ammonite from the Neocomian stage of the Cretaceous period (around 145-85 million years ago). Ammonites were marine invertebrates. They first appeared in the fossil record around 400 million years ago in the late Silurian and early Devonian periods and became extinct around 65 million years ago at the end of the Cretaceous period. Specimen from France.